If you have TRICARE health insurance, you could be saving more on out-of-pocket co-pays, prescription costs, and cost shares. Our company offers a special type of insurance product that helps cover these costs. TRICARE insurance is the Department of Defense’s health benefit program for the military community. It consists of many different types of TRICARE plans, but typically TRICARE Prime, TRICARE Select, and TRICARE Reserve Select work best with this product. The TRICARE Supplement Plan helps pay copayments, cost shares and applicable excess charges. Note that Selman & Company operates TRICARE Supplements for associations as well as a supplement that employers make available as a benefit to their employees. These types of plans differ. 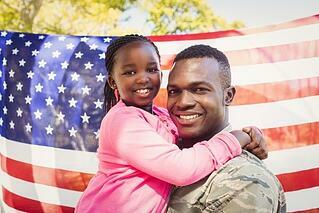 Watch this video about TRICARE eligibility. These are insurance products, so there are a lot of disclosures and fine print, so be sure to read everything provided. MAY NOT BE AVAILABLE IN ALL STATES. Looking for a TRICARE Supplement or CHAMPVA Supplement claim form? How much could a supplement help you? Watch more videos, download the infographic, get an online quote.